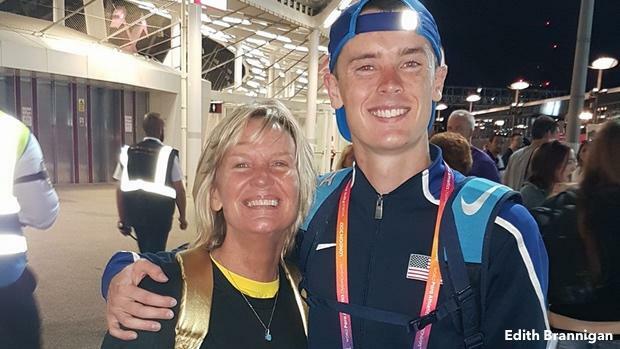 Edith Brannigan is the mother of Mikey Brannigan, a graduate of Northport (New York) High School who earned gold at the Rio Paralympics in the T20 classification of the 1500m in 2016. He's also a recent World Para Athletics champion in the 800m and 1500m and a silver medalist in the 5000m. 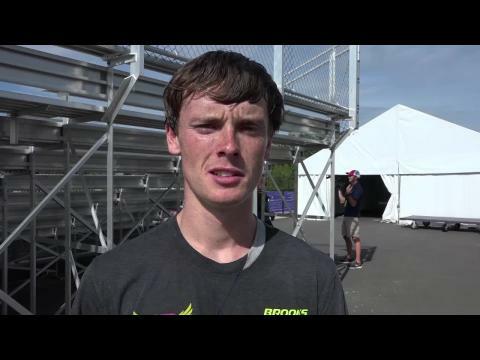 At the age of 19, Brannigan ran the full mile at 3:57.58 and has set his sights on qualifying for the Olympics in the future. In the essay below, previously written in 2017, Edith writes about her experience raising her son, who continued on a path toward success even after others doubted him at every step. Our journey with Mikey has transcended the boundaries set for us, time and time again. Because of this, I believe the things I've learned along the way can help other parents whose feet have been set on their path, similar or otherwise. Don't believe the predictions of coaches, teachers, or well-meaning friends about your child's athletic future as absolute. Absorb their opinions, but don't make important decisions based on someone else's limited view of your child. You alone understand your child's strengths and weaknesses. Outside factors or opinions cannot fully know the depth of your child's drive and desire. One of the most important things I've learned along the way is that ANYTHING CAN HAPPEN. When Mikey was 3 years old, we were advised to get him on waiting lists for group homes, because the good ones were 10 or 15 years long. While this may be sound and proactive advice for parents of a handicapped child, the inference was that Mikey would not grow up to become independent in any way. The suggestion made for him at the age of 3 was that we should limit our expectations of his ability to function adequately as an adult. And so we stood on the precipice of losing all hope for any kind of meaningful future for our son. The workouts can be brutal, the mental anguish severe, but what it takes to be a successful runner is not just about your legs, it's about your head. Today, Mikey travels all over the world running for Team USA and the New York Athletic Club, with minimal special accommodations made for his disability. He's fortunate to have a brilliant, experienced, and tenacious coach, Sonja Robinson, who understands and helps with his special needs. 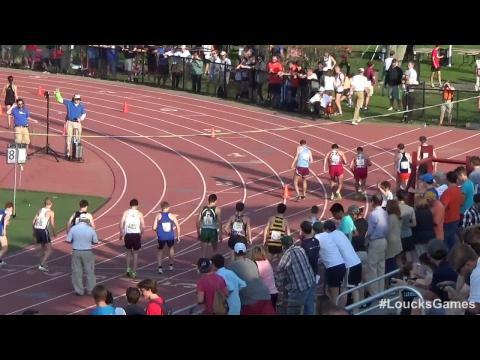 When Mikey was a junior in high school, we were looking into Division I colleges that Mikey could run for and that offered adaptive programs for people with intellectual disabilities. When I asked the representative of one important university if Mikey would still be eligible to run for that school were he to be in this program, I was told, 'Honey, this is a Big Ten school. None of the kids in that program are going to be on a team here." Although heavily recruited by over 200 schools, Mikey ultimately could not pass the NCAA Clearinghouse's educational requirements. 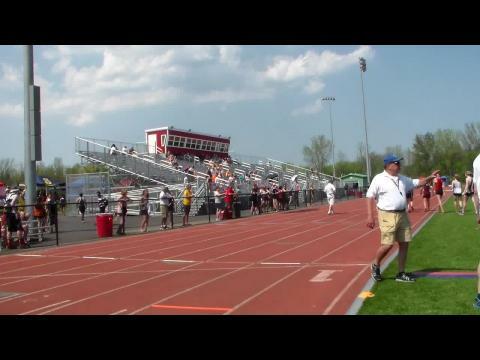 He was accepted into Hofstra University, without an athletic scholarship due to the NCAA educational restrictions but decided to turn professional and compete for NYAC and Team USA. And here's the thing: Mikey's race times at 20 years old are comparable and competitive with -- and often exceed -- the majority of most college runners his age. Do not see an athletic scholarship or even a gold medal as the ultimate goal. Yes, of course, financial assistance, awards, and glory are indisputably great and just rewards for hard work in the sport. However, the journey of a runner's life and the gifts received from the dedication and perseverance it takes to compete in the sport far transcend these. 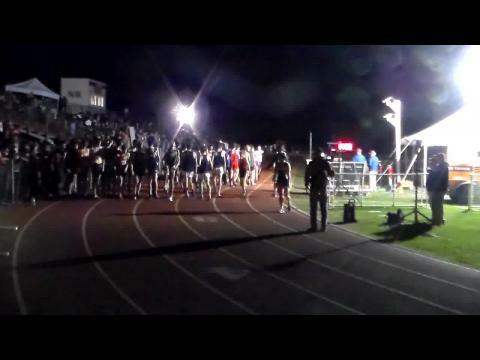 There is a bond between runners. When they have to "dig deep" and "push through" as it's often taught by coaches, admiration and respect for each other abounds. I'll never forget a T-shirt I once saw at a track meet with this sentiment: "Our sport is your sport's punishment." The workouts can be brutal, the mental anguish severe, but what it takes to be a successful runner is not just about your legs -- it's about your head. Mikey's high school coach, Jason Strom, once said that Mikey trains every day like it's the first day of practice. He brings a contagious enthusiasm and a love for the sport every single day. He practices a gluten-free diet and limits his portions. He balances his training with educational and emotional support. 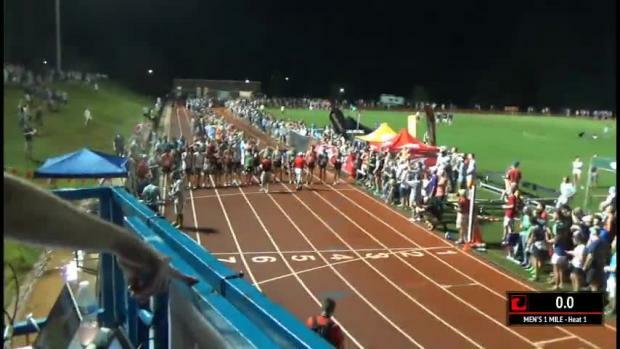 The sacrifices made at every level of competitive running are many. Watching my autistic son have a life full of interesting and fulfilling experiences is beyond my wildest dreams for him. He looks at a problem and sees a solution. But running is character-building. He understands that he's not competing against other runners as much as he is running against his own best time. Runners can and will internalize their successes and defeats intensely. But Mikey's attitude is this: "There will be another race. I will learn from my experience in this race and improve on it in my next race. I am grateful for the opportunity to compete alongside these other great runners so that I may learn from them and improve. The effort I put in is in direct proportion to the result I receive." So as a parent, when I see this attitude in my son, borne of a love and a dedication to his sport, I am proud beyond measure. Because I also get to see how his work ethic in running has enhanced other areas of his life. The medals are awesome, but watching my autistic son have a life full of interesting and fulfilling experiences is beyond my wildest dreams for him. He looks at a problem and sees a solution. He looks at a difficulty and sees a path to success. He looks at people of all abilities and sees peers. He is as comfortable hugging Michelle Obama in the White House as he is giving a talk to elementary school kids in their small cafeteria. This confidence and self-assuredness comes through because of his years of training and competitive running. He learned at a very young age that running, competitive or otherwise, levels the playing field. The people I have met through Mikey's running are some of the best people I know. They are accomplished, kind, thoughtful, and helpful. Cedric Jones, of the New York Athletic Club; Matt Centrowitz Sr., the head coach of American University; Dan O'Brien, the 1996 Olympic gold medal decathlete. We've met and cherished our time with many more. Respect the sport. Be grateful for the coaches, assistant coaches, meet officials, booster clubs, schools districts, running fans and enthusiasts, and especially parents and siblings for their support. In my experience, it really does take a village. Mikey would not be the successful runner or person he is today were it not for the support he has received. 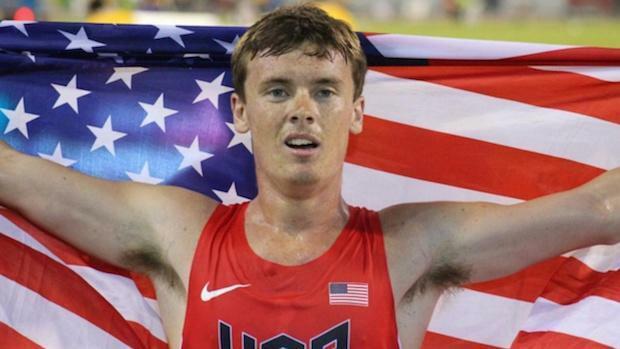 From the Rolling Thunder Special Needs Running Club to Northport High School to the New York Athletic Club to Team USA, the support he's received has changed his life in every way. Even though I would consider running to be more of an "individual" sport, much like gymnastics or swimming, being part of a team is paramount. He inspires people across the country and the world, especially people with autism and other intellectual disabilities. They tell him that they have hope now. Not for gold medals, but for experiences and accomplishments beyond what they have been told their limits are. You are pulled by the faster runner, and in turn you push the slower runner. I believe that any runner will agree that teammates are essential to uncovering your true grit. The only time that you should be looking down on another runner is when you are leaning over to help him up. The shared experience of training and competing cannot be undone by time or distance. When the McGowan twins get together with Mikey in our hometown, their shared bond of being the very first three high school teammates to all break 9 minutes in the 2-mile in one race -- in a national championship race at that -- will forever be between them. 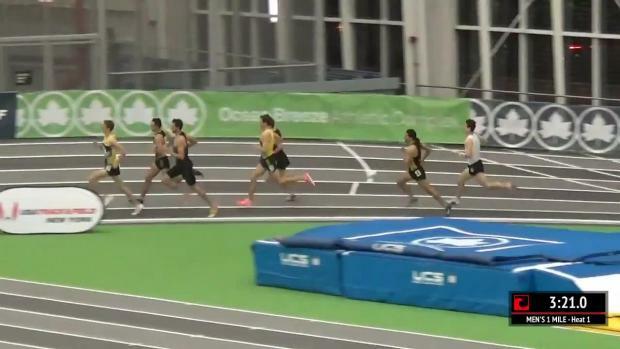 When Kyle Merber, currently a professional for HOKA One One and a member of the NJNY Track Club, pulled Mikey through to his first sub-4-minute mile, a forever memory was created between them. This is the stuff of lasting and meaningful relationships. Mikey taught me that. Today, Mikey continues to train, working toward his goal of qualifying for the 2020 Paralympics in Tokyo and the Olympics in Paris in 2024. 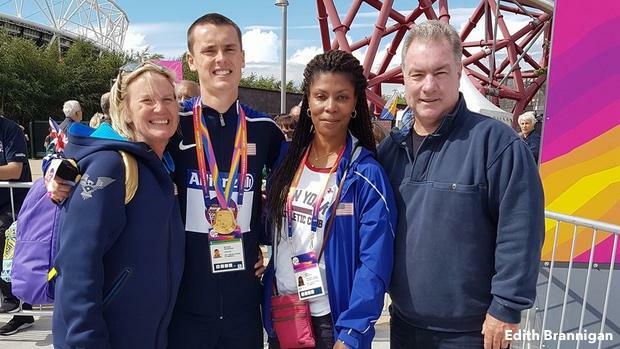 He continues to embody the reality of autistic people becoming elite athletes. He inspires people across the country and the world, especially people with autism and other intellectual disabilities. They tell him that they have hope now. Not for gold medals, but for experiences and accomplishments beyond what they have been told their limits are. And so no matter how many races he wins, my son has already won.